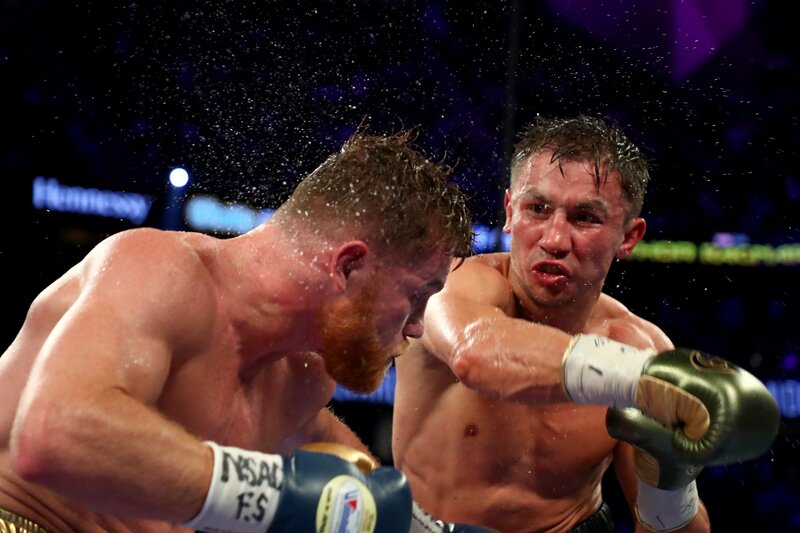 Abel Sanchez suggested on a podcast Tuesday that Mexican superstar Canelo Alvarez intentionally ingested clenbuterol-tainted meat to avoid fighting unified middleweight world titleholder Gennady Golovkin earlier this year. After fighting to a highly-controversial split draw last September, Canelo and Golovkin were initially slated to rematch on May 5 at T-Mobile Arena in Las Vegas, but Alvarez (49-1-2, 34 KO's) tested positive for trace amounts of clenbuterol in random urine tests conducted by the Voluntary Anti-Doping Association on Feb. 17 and Feb. 20 in his hometown of Guadalajara, Mexico. Canelo withdrew from the fight in April and was subsequently handed a six-month suspension by the Nevada State Athletic Commission. "Sometimes I feel he ingested the meat on purpose," Sanchez told Podcast One Sports now co-host Tim Dahlberg. "It's not like he lives under a rock. The fact it happens makes me believe there's either carelessness on his part or he simply didn't care." Golovkin has also taken his fair share of digs at Alvarez, going as far to insinuate that the former two-division world champion has cheated throughout his professional career, and also implicated his promoter, Hall of Famer Oscar De La Hoya, into the mix, implying that he too was a drug cheat. "Again with Mexican meat? Come on," Golovkin told reporters in March. "I told you, it's not Mexican meat. This is Canelo. This is his team. This is his promotion. Canelo is cheating. They're using these drugs, and everybody is just trying to pretend it's not happening. "This guy, he knows. This is not his first day in boxing. He proves he gets benefits from everyone and he can get away with it. Check him on a lie detector, and then we can find out everything. "It was pretty obvious when [Alvarez's] muscles were all [enlarged] and with the traces of injections, which were visible," Golovkin added. "Before the first fight, I knew he was not clean. I can talk about Oscar De La Hoya too. He is also not clean. He's dirty." The 28-year-old Alvarez has said that he has taken much of what Golovkin and Sanchez have said about him personally and is motivated to hurt him when they fight again on Saturday, Sept. 15, once again at the T-Mobile Arena. Golovkin (38-0-1, 34 KO's), 36, a Kazakhstan native training out of Big Bear, California, who agreed to a 70-30 split for the first fight, refused to sign another contract unless he was paid for money following the positive test. After Golden Boy was unsuccessful in landing a fight with ex-middleweight titlist Daniel Jacobs, they had no choice but to renegotiate with Golovkin, who said he would not fight for anything below 45 percent of the total revenues. Ultimately, promoter Oscar De La Hoya told Yahoo Sports' Kevin Iole that he took money out of his own pocket to meet Golovkin's demands. Right now, Golovkin appears that he has come out on top in the doping scandal, but the only fight that matters is the one in the ring on Saturday. If Triple G takes care of business, there won't be a need for a trilogy.